I love using Cute Cut for simple video edits on the go, but 3 times now, the app has crashed while I was trying to edit or export my video, and when I reopened my video, the app would crash again, leaving the entire video impossible to retrieve. I have 10 GB of storage left on my phone. Could you please add an option to export from the main menu so that if a file is corrupted, we can export it directly to our camera roll and reinstall the app? Thank you! 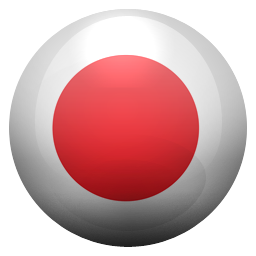 This app is amazing it helps me make videos and without a water mark! it’s so annoying and stressful to get kicked out of the app for having like 30 things in my gallery. ive had to delete so many things just to have storage but it seems like it’s not working at all. i was so close to finishing a project and then all of the sudden i get kicked out of the app and when i go back in to see what happened i can’t even open my project. what the hell dude. it’s annoying me so much like can you fix this please ? i literally have to delete the videos im using for my project to finally have space like ? that makes absolutely no sense. id edit on videostar because it keeps videos you’ve deleted from your gallery in your project, but i don’t like the format so i stuck with cute cute. The app is great! Its perfect for editing. The one thing thats wrong is that if you have the ipad pro 11 inch, there is black bars. Please fix! I’ve been using this app for my edits. I wish there were a lot more transitions I could use on this app instead of using other apps. And keep having a problem with low saving memory. But besides that it’s very good. I’ve been using Cute Cut Pro for a while now and I’ve been thinking could you please add a chroma key option? i spent five dollars for this pro version, i loved the app but for the past two days it has been stuck in a loop, everytime i click on the app it just crashes, i have a video to edit for my youtube channel that i can not upload in time because of this, im not really mad i just wish that these bugs would be fixed, my favorite editing app but this is mad annoying. I really don’t have any problems with this app, but things can always be improved upon. Worth the money if you edit a lot of things, very useful for making anime/other edits. Alright, this app is amazing, but you need to add some updates or something, also you need to add an introduction for editors just starting, because when I started, it took me quite awhile to figure everything out. Thanks! I gave this 4 stars because there are glitches like not loading my movies and stuff. Overall it’s still good! I think it’s really nice. 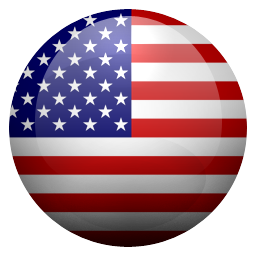 I edit this for YouTube because I am a starter maybe needs son fixes with the transitions. This app is amazing because it does not get me mad like other editing apps. Cute Cut Pro is annoying. I’ve been editing on Cute Cut Pro for a little over a year and all I can say is that it’s freaking annoying as heck! Every time I’m making a small edit for Instagram or YouTube, it keeps saying Low Memory Warning and it keeps kicking me out of the app constantly while making one small edit! I honestly don’t like Cute Cut but it’s the only editing app I can understand. I can’t export my videos to my camera roll and that annoys me so much it says “operation failed” and I deleted so many videos and pictures to download it and nothing happened please fix this!!! cute cut pro is a really good app to edit with. though it is missing a few features. shakes and bounces would be very nice to add considering the fact that i have a fan account with 21k+ and still cant find a way to make a shake. also being able to use a green screen would also be very nice and less stressful for the users. but other wise this app is great and i love working with it to see what i can make! So far it’s good I’m making an edit and it looks pretty good and it has more transitions and I learned how to make more transitions. I love this app it’s really easy to use and great for editing! But! When I was using it, suddenly all the videos I had imported were blacked out and I couldn’t see them but I could hear them. And when I tried exporting it, it said failed. I have plenty of storage on my phone so I don’t know why it’s doing this.. I love this app I barely got it because I got a gift card and I’ve been loving it 🥰I haven’t had a problems with it so I guess is alright but if there is a problem I’ll try to say it!! 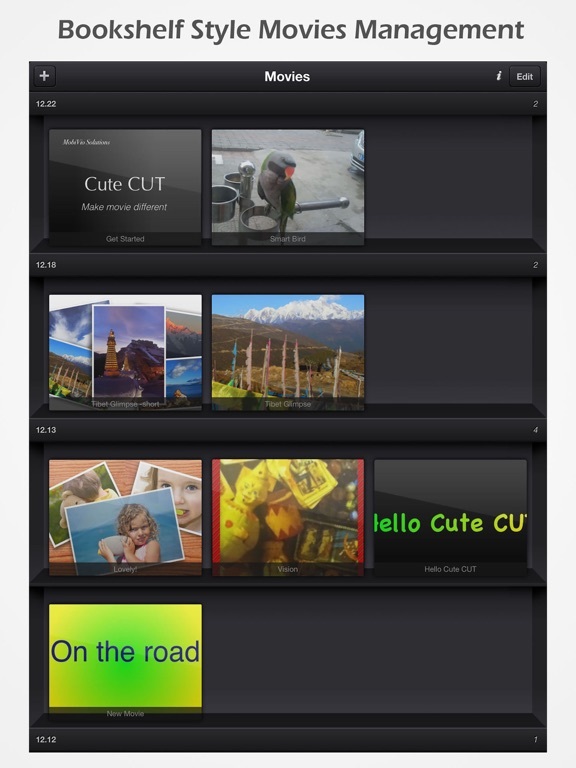 cute cut pro is great for making youtube videos, it’s easy and fun to use. I recommend it. i like ccp and use it to make edits ( @trqsh.mp4 on insta) but there’s a lot of glitches. after you save clips, sometimes it has like a black screen. also you can only do basic transitions. on vs, they give you effects and stuff. i don’t really like how the transitions are on how they’re not that smooth an how you have to save a vid and mirror it multiple times to get smooth transitions. besides that i like the app. I love the options and stuff, but honestly I had high hopes for the pro version and now wonder why I used my money for this. Of course I knew the pro version would remove watermarks and make the videos duration more than thirty second, but I thought it would have more editing options because that’s what a pro version usually has. This app is one of the best editing apps I’ve seen so far, although I feel like there should be more original transitions for between scenes, otherwise this app is really good for editing. can you make it so that when I extend or decrease how long the video is, that it doesn't fully move the whole Line, I don't like how it repositions other ones too and it really isn't helpful because I HAVE TO REPOSITION THE WHOLE VIDEO!! this makes it hard to make a video when you extend or decrease the time the Sprite will appear on video and I Just DO NOT LIKE IT! make a Option to turn it off or just remove it from the app entirely because making it move when I extend it making them position to another spot although it is not near that part UGH it makes me soo mad since it takes like 8 Minutes to sync a Audio with images that took me 3 HOURS TO MAKE!!! please just make a way to stop this from happening! Let me get straight to the point. 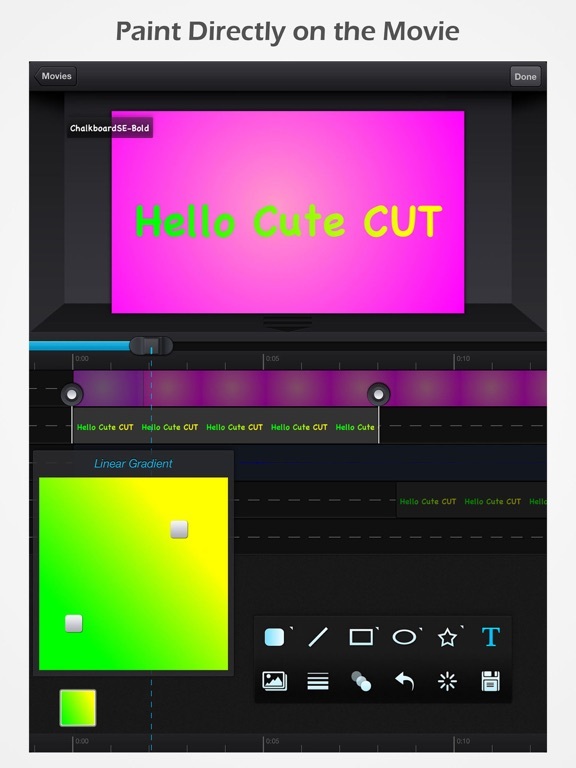 If your in need of a solid, reliable, and clean editing app, cute cut pro is for you. It’s one of the greatest apps I have ever used. The only thing that is wrong is when you try to mute a clip, but it still ends up playing sound in your video. Hopefully they fix this, I would really appreciate the developers to accommodate this 5 star, because it truly is a great app. I love the app so much, but here and there the app crashes on me. I thought that getting the pro version would help this. But just during making a video it crashed on me! Please fix this!! This is such a good app, I’m a GachaTuber so I use this app a lot, and transitions are easy to do and quick! I’m so lucky that I got such a good app for such a good price! I definitely would recommend buying. Alright, I’ve been using Cute Cut for awhile now. My only problem with the app... is a black flash showing up in my videos for no reason! It’s annoying to go through a video after editing and having a bunch of black flashes showing up. Please do something about this. Otherwise, the app is great an I’d recommend it to friends and family. I’m not sure if it’s my phone or the app doing this but everytime I try to make an edit, everything glitches or freezes and I can’t do anything to fix it. i love this app! even though, id love if youd add maybe some presets and maybe motion blur. its make us editing less time! It is super good and you can add custom transitions! I also love the fact that there is no watermark! As a Gacha Tuber on youtube that does Gacha memes with transitions, the fact that there is no watermark really helps! So I love editing my videos but one problem..why don’t you have good rateings?! This app is great! I love this app! But the thing that bugs me is the green screening. I know you can do it with the colors feature but it’s tricky, and I don’t know how to do it. I would really love this app even more if it had a green screen feature. I’d give it a five star if it did. Maybe in the next big update you can add it? Honestly, I love CCP. It makes editing great, and it’s so good! But...you should add green screen capability. You see, I’m tired of doing all these stupid transparency options that barely even work half of the time. Maybe I’d rate it five stars and recommend the app if you just added greenscreens. It’s says I need at least 1Gb of storage to save and I have 20gbs free. 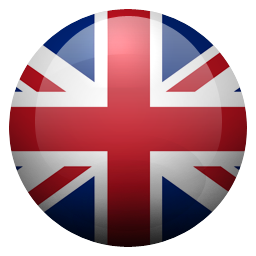 This is a really good app! It’s the best editing app for a phone in my opinion. However, it’s really hard to edit without a green screen option and I wish they would add that. Other than that, it’s really good! I downloaded this app, and I deleted it. It still shows up in my phone but I delete it and it says I have the app but it won’t let me tap on it. So I've been using this app for two year now. I do fan edits and anime edits on here. Best editing app I have used. I haven't really encountered any issues expect crashes here and 'low memory' wanting here and there but it wasn't that much of an issue to me until now. Recently I have been noticing glitches with the transitions. Or even when I split up a video, it will zoom in on its own when I press play. (Does that make sense?) When I add a transition, it will complete lag the effect. The audio has been a huge problem too. I always hear weird sound affects whenever I mute or add an audio. Like this one time I added music to an edit I was finishing up and when I saved it I heard a weird beeping noice for like two seconds. I've tried deleting the app and reinstalling it but nothing's changes. It has been very difficult and frustrating to work with cute cut now. I haven't edited in months until now because of these issues and it would be greatly appreciated if they were fixed. Thank you. I’ve been using this app for at least 3 years now and it’s just been slowly making me want to delete it. Let me get right to the chase here. 1. You are not able to edit with 1080p clips without the app crashing, not letting the clips show up, or having import failure by saying “cannot decode” But 720p is totally functional. Sorry but me and a lot of others are suckers for quality. 2. For as long as I can remember Cute Cut has had these random audio glitches. For example like the audio making a ticking or scratchy noise. It’s very annoying. And now recently when you stop and go back in the middle of your vid to fix something, the audio will go off sync. You will have to go back to the beginning of the vid and start it again, then watch the vid until you get to the place where you wanna fix something for it to be synced. That’s also very annoying and repetitious. Makes it hard for work to get done. 3. This is big, nobody has updated the app to fix these problems I listed ever. In updates it will say “bug fixes”. But when I go back to the app the same problem will be there. Either they’re fixing minor bugs or they’re just lying.. I don’t know. But the problems I listed are huge and should be dealt with before anything else. I really want to keep this app, but you guys need to make it work. So I have been using CuteCut PRO for a few months now, and it's been a great help with videos! But I think it could have a little more to it.. Not much changes but a bit. I'd like to be able to change photos but keep everything else on there, instead of having to do all of the transitions again. Also, having a green screen would be great! For the fact that it can get really frustrating to keep editing something.. Or editing something that you can't. And maybe some effects can be added? I don't know much of effects but I know that it would help me with my storage space. But a all in all I have this a five, it's really fun to make videos with this app. I hope this will get an update that customers want! Your service is greatly appreciated! okay so overall this app is amazing. i’ve been editing on here for almost a year now and i’ve improved a lot but i think some things should be fixed or added. for example the app keeps crashing and glitches causing some of my work to be deleted. that annoys me a lot. also i think the app should have an option where you can mirror photos or videos, and add motion blur. that would help out a lot bc or else i would have to mirror each photo myself and it takes a while. effects would be really great too. maybe a few more complex transitions like 3D transitions. also have more fonts of letterings to choose from and transitions for them. if this app can have transitions or effects like ae (after effects, a computer program) it would improve the app a whole bunch. I had been using this app for a few months and decided to work on a slightly bigger project. In total I spent around 20 hours editing clips for my project and right when I was about to be finished the app started to repeatedly crash! I put up with it because I really liked how the video was turning out and I had put so much time into when all of a sudden all of the clips I had gathered turned black and I was unable to view them! I tried restarting the app, even turning my phone on and off and leaving it alone for a few hours, nothing worked. In the end I had to completely delete the app, wasting all of my progress.... Unfortunately I am going to start over, but that is because I really want to complete what I started. I am super upset since I had worked on countless projects before and they all turned out great. Let’s hope that the app decides to actually work now.. 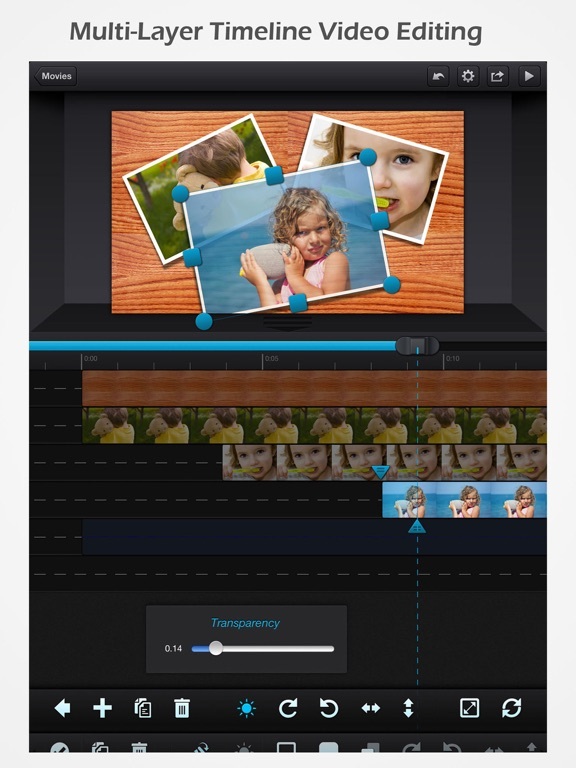 Despite it’s strange name, this is probably one of the greatest video editing apps I’ve ever tried. There are a lot of advanced features to try out, such as moving an image or video anywhere around the screen at specific points. There are a couple of minor gripes, such as navigating through the tools, but I’m sure I’ll get over it. The app visually looks outdated, looking like it was from the iOS 6 era. The app is also a bit laggy. There are also a few tools that would be nice to add, such as a green screen effect. I recommend the app to beginner video designers. It has a good set of basic and advanced tools to use. 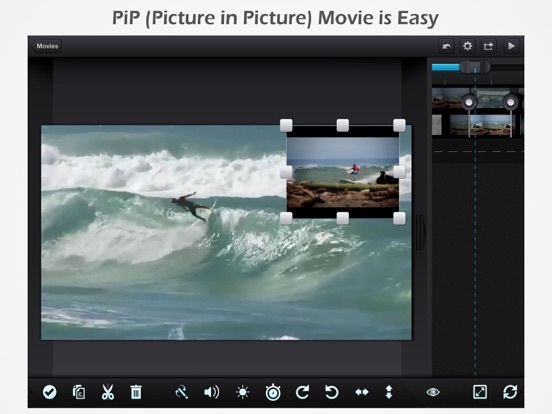 I would recommend the use of other editing software to use as well. It is totally worth $6 USD. This app is great, it has really made things easy and fun for me editing wise. It is simple and easy to use, and for a little while everything worked fine! Except unlike others who started having problems after a few months.. for me it’s only been two days. now after working on one edit (it wasn’t even that long only like 19 seconds) it crashes every time I try to open the edit! It will let me work on other edits I have saved but for some reason this just particular one just crashes the app every time! This is disappointing because it has by-far been my best edit and I was very close to finished with it. PLEASE fix this problem. There’s a bug with the transitions. Okay, so I use this app to edit, but lately, there’s been a few bugs. One being the pause/play button not working when I press it. The other bug involves the transitions. I tried to make an elastic tradition, it’s supposed to work smoothly, I used it before and it worked fine, but when I use any transition, like when you do a Spiral transition, it doesn’t make it smooth to where you can spin fast, instead, it’s skipping like every 10 frames making it look choppy. So, can you all help us people who use this out fix the bug to make the app work? Please and thank you. I love this app. i use this app to edit, and its really helpful but i seem to be the only one who experiences this glitch where when i go to crop a photo, it glitches and ( well idk really how to explain it ) but i have to completely re open the movie to see if it’s cropped how i want it, and i have to keep re opening my movie to see it cropped or else the screen to crop won’t disappear like it usually does after clicking done ( again, i’m sorry if this doesn’t make sense) i’ve tried to re download the app, and looking it up to fix it but nothing is helping and it’s starting to get really annoying to where i don’t want to use the app anymore plus i’ve payed for this app so i don’t see why it’s still glitching!! please fix!! This app is the best but there’s one problem that really gets on my nerves. The problem is that if you screen record with the mic on... when you put the video on Cute Cut it doesn’t produce sound. I’ve heard a bunch of complains about this, and I really want you to fix it. I’ve been using it for 3 years now and I don’t want to stop using it. Also can you add more transitions because they are kind of getting old and I want new one (optional).Thank you for making this app really great and made my YT channel really big . I’ll never forget this app and please fix it . Thank You!!!!!!! Have a nice day. Okay, I have been using this app for a very long time. I’ve used it on vine and now Instagram. I’ve had some problems with it in the past, but nothing I can’t handle. But now, I can’t! I was working on a project last night, was almost done just had to add a few more transitions. I woke up this morning to a “missing video” message, saying I had deleted my videos. Which in fact, I did not. There are still in my camera roll. So I didn’t think too much of it, and I went to start over. It said “download failed” on every single video I clicked on. I deleted the app and redownloaded it, and it’s still doing it. Please fix this, I want to finish my project! i’ve been editing with cute cut for about a year and a half and there is so much room for improvement. first of all, glitches and crashes need to be fixed because eventually when you keep going in at it crashes, you lose your whole video and it is the WORST. second of all layering videos. with pictures, you can layer many on top of each other but for videos you can only have two which is very annoying because many times i need more than 2 layers and if i really want to i have to save and export the video and keep doing that which overall decreases from the quality. there are many improvements that can be made to this app that would improve performance. Okay, my overall review would have been five stars but this glitch happened when I was about to finish up a video I have been working on for DAYS and I am not exaggerating when I say that. So, I came across this glitch where it says something like, “You have low memory so we are going to make the quality on your video less then what it was” (basically) and I was, pretty much, alright with that. It looked okay. But, when I went to edit one of my clips it just took me to my home screen. I was.. confused. I went back and it did the same. This repeated. It said the same thing over and over. I still don’t get it now. this app is so great for soooo many reasons. one reason is, there are so many things you can do with it! Transitions: AMAZING. i’ve edited on Cute CUT and i loved it. on March 31, 2018 i decided to upgrade. i loveeeee it! my edits have gotten so much better and one thing i would like would be to add some more transitions, more complex ones. such as these: (these aren’t all transitions) - ae dotted outline effect (unless that is copyrighted, if so, a similar one.) - ae melt effect (same as ⬆️. if copyrighted then similar one) - hexagon effect - more fonts (preferably in alphabetical order 🙂) -spin transitions. (i already know how to do spin transitions but it’s a chore to do them) -update your info page to a more recent version! preferably 2018! -and finally. a redo button! it’s sooo aggravating to undo your action too far and have to do it over again! all of these would be cool on Cute CUT too :) thank you so much for making an app as amazing as this!!! I really like this app.....but I’m started to get pretty bored of it. I’m about ready to use Video Star. It’s just that you need more exciting and bigger updates. Like you need motion blur, so when we make a transition it could have the blur effect to it. 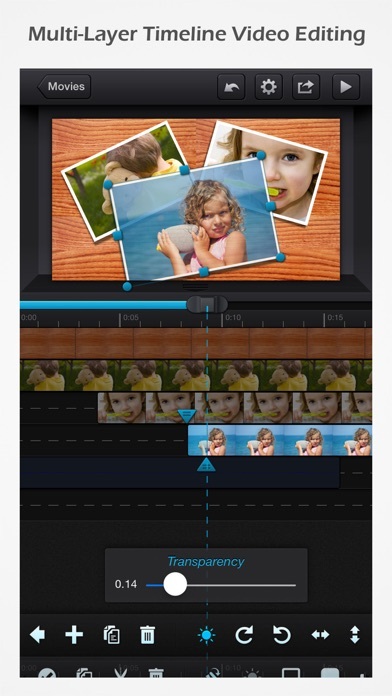 And you also need to add more transitions as well as mirrored clips. I’m sick of constantly having to go to Video Star for it. And no one even uses your transitions anymore. Please don’t get me started on the glitches. I’m sorry if I came on to harsh, but PLEASE!!!! Please! If you see this, at least TRY and add my suggestions, and I hope I’m not speaking for myself when I say everyone wants bigger updates. 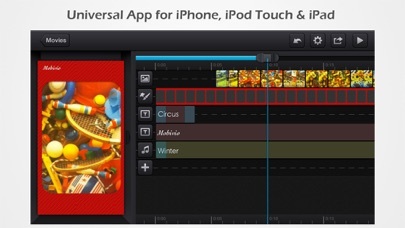 This is a great app that use for editing! I honestly love it! It very easy to use and it’s one of the few editing apps I can use that can be easily understandable by people if they were to try to learn about it on their own. It’s great! But there is a problem. I use recording software on my device to record my screen. It usually come out in 4:3 aspect ratio. I want my videos to be of the highest quality they can be, and I really can’t change the quality and aspect ratio to make it as best as it can be. If this wasn’t the case, this would have definitely gotten the five stars it deserved! I would love if this was changed to be high quality, because I really need it! All in all this app is great. Super easy and awesome to use. However for me there is a huge downside, no it's not missing any features that I would want. The problem is when I wanted to export one of my movies it said "cannot decode" which is a huge bummer, it was all of my greatest memories from my vacation. I looked up how to fix it and it said I had to convert files, and I just think it's stupid I can't use mp4, or mov, or whichever one isn't supported. I'm not the only person with this problem, and I don't wanna restart the whole thing, so PLLLEEEEEEEEEAAAAAAASE fix this problem!!!! I wanna be able to actually have the movie, and I'm sure others would. So please fix it, thank you. I love this app a lot. But it really need to update. For some reason it’s telling me there isn’t enough storage when I only have one “movie” and I can’t edit it bc it keeps throwing me out of the app and saying that it crashed. Now idk if it’s just happening to me or other people, either way Cute Cut really needs to update tremendously. I say it would be cool if they changed up the things you can do on there, they should add like more transitions and add a green screen option. I know there are apps for that, but likeeee not all people have a lot of storage on their phones...sooo...ya feel meh? I’ve been using this app for a while now and I’ve noticed that when you get down to smaller cuts the video glitches or freezes. When you save the video it’s fine but it’s hard to tell what you are doing when your video is frozen while editing. I wish you could see the audio for audio files because it would make some cuts so much easier. Sound doesn’t work sometimes when you go to turn the volume down. If the glitches were fixed and this stuff was added, you won’t need a computer to edit anymore; this would be the best editing app in the world. Hey I just saw your views was 2.53k and that makes me think of ( Acts 2:35 ) and that’s why I feel compelled to say what I am about to say! Jesus Christ loves you, He died for you, God wants to restore your life making it more abundant, it does not matter where you are at in life nor who you are the promise of God is for everyone. If you would love to read where in the Bible I was referring this from it was acts 2:31-43 that sequence of verses shows how you can become saved by God! Have a good one God bless you! I switched to cute cut pro because iMovie wouldn’t let me save my videos, and I am very happy with my switch and wish I would’ve done it sooner. But, I have some suggestions. Some sound effects I put into my video is tune don’t by the sound of the music I put in the video. In iMovie you can raise the volume higher than the usual sound volume. (Up to 500%) I want to be able to do that in cute cut pro as well. Also, I would love to put green screen videos onto my videos. Otherwise, this is a amazing app! I love to make AMVs with this app, however, I have just encountered a little problem. You see, the app used to load up the pictures I picked, no matter how recent they were. But now, any recent picture I pick won’t load up. I would have to wait one or two days until the picture I want loads up properly. I really wouldn’t want to wait that long. Could you guys maybe figure out the problem and fix it please? I GET NOT HAVING COOL TRANSITIONS ON THE FREE VERSION BUT I PAID FOR THIS NOT TO JUST GET RID OF A WATERMARK. I use this for a lot of video editing and specifically fans use this for a lot of video editing of who they’re a fan of. Your competition right now is I believe Sony Vegas pro and video star and they have the ability to do so much more than this app can please look at some of Sony Vegas pro’s transitions look at fan edits and see how the transitions on them work and make them here! What’s the point of buying this when I could’ve spent hella money on Sony Vegas pro and even find ways to download it for free to get such a bigger and better package?! I've been using this app for 2-3 years now, and every update makes it better. For the next update can you add more transitions? And let there be more than just 2 layers in one edit. Add more audio effects, like slowing the audio down, or reversing it. Another thing that might be complicated but add a graphic editor for easing types so we get to customize our own smoothness. Maybe it'll be nice if we could save transitions ;0 (presets). Please keep adding more stuff to this app!! It is the easiest editor to use for your videos in the whole AppStore, it even let you turn a whole video into only the sound or music of the video. The only think I would like them to improve is the facility to use effects on your videos. For me, is very hard to use them (I don’t even know how). If they can facilitate the way you use the effects on your videos, it will be a lot better than it already is. I think this is a good editing app for those who want to use their phones but I think there should be a lot more added in to improve it. I also think that if the app had the glitches fixed too. I think it would be great if the app had features such as distortion or chroma key. If you want the app to get more popular you could also change the interface appearance without changing the layout so it looks less outdated. I like this app though and if it had the features it would be a 5 star app and I would recommend it to more people. I liked the free version of this app so I decided to buy this, I decided it was worth it but I was kind of wrong. Every time I go to edit and save my progress, it always says “failed to load” when I try to open it again. Idk if I’m doing something wrong when I save it, but either way it’s absolutely infuriating when you spend an hour editing just for it to not save, or “fail to load” it. Everything else is amazing, just like the free version just with no watermark and no limit on how long your edits can be, which is amazing. I am usually very satisfied with this app. 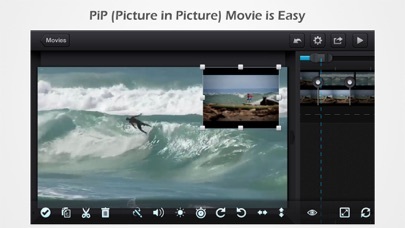 It’s great for an iPhone editor for short clips, and when I use it for that, it is great! I am extremely frustrated with it for larger videos. I am working on a 1 minute video for my Spanish class, and every time I accidentally leave the app and come back, it tells me that it there has been a crash, and it will now reduce the quality of the video. Then, my screen goes black and I have to exit the app. Note that this is about an hour’s work, and I cannot get it back. This isn’t the only time this has happened, either. Please, fix this. I said some similar things on my review on the free version, but please hear me out. Ccp now is simple and good, nothing bad or horrible about it. It has amazing features and is very easy to use. But, it could use a few updates: 1) look at ae. 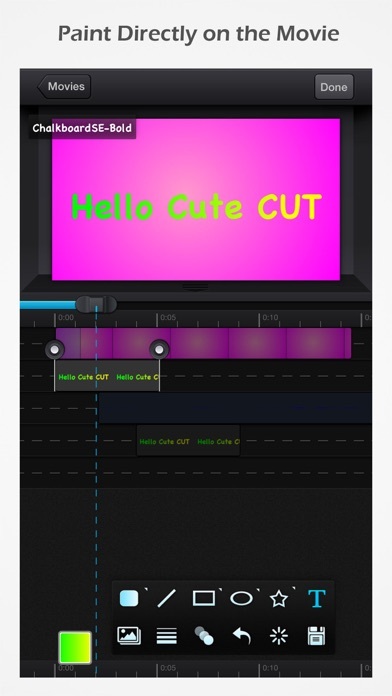 Take from some of its features and add it to cute cut PRO (motion blur, overlays, custom transition features, graphing, audio stuff) 2) let it use videos on more than two layers. It’s hard to do certain things because of that restraint. 3) have effects. Like I said before, look at ae. Effects can increase the buyer rate and have better reviews. All of this can be specifically for the pro version to motivate more people to buy it. Take strategies from other editing programs that are used the way this is. 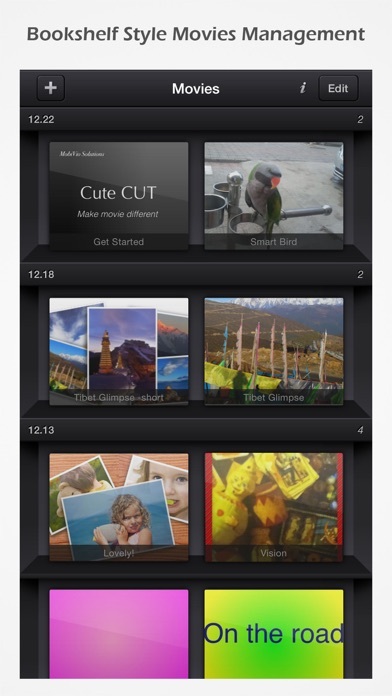 Besides these though, this is an amazing app ! I kinda hate this now!! Ok so I’m kinda new to cute cut pro because I just upgraded from free to pro a few weeks ago, and I love it so much! It’s a great editing software and all but you guys should add more features to pro so people would actually think it’s worth it. Because there are lots of complaints about how CCP isn’t worth it. Cause there’s only 2 differences, you should maybe add more so I, and other people can be satisfied for what they paid for. 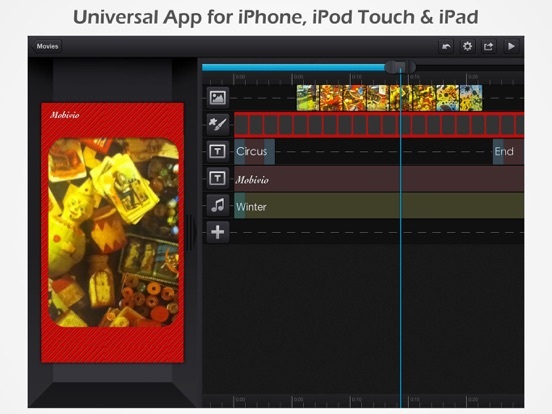 ($5.99) Although this app is so cool, my second favorite editing app!